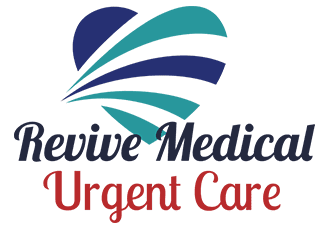 If you or a loved one need a physical exam before heading off to college, playing sports, or working as a professional driver, Revive Medical Urgent Care is the place to go. They offer convenient same-day exams and physicals for students and professionals in Oklahoma City, Oklahoma. Feel free to call, schedule an appointment online, or walk in today. Children and teenagers who want to join a sports team typically need to get a physical exam to determine whether it’s safe for them to participate. Even if their school or organization doesn’t require it, a sports physical is a good idea. In addition to clearing your child to play sports, the team at Revive Medical Urgent Care may also recommend training tips to prevent injuries, such as stretching and warming up. The Department of Transportation (DOT) requires professional truck and bus drivers to get a physical exam before driving commercial motor vehicles. These exams help ensure you can safely handle the demands of this type of job. A standard DOT physical exam takes about 45 minutes. What is a pre-college physical? Most colleges and universities require a pre-entrance physical exam, especially if you’re going to be living on campus in shared housing. Even if your college doesn’t require it, a physical exam at Revive Medical Urgent Care is a great opportunity to check your health status before making this major transition. Your provider at Revive Medical Urgent Care may also offer advice on how to stay healthy throughout the college experience. To schedule your physical exam, call or book an appointment online. You can also walk in without an appointment.